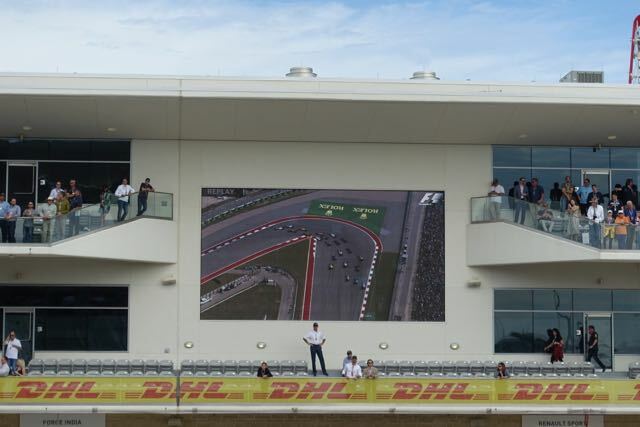 Lewis Hamilton held off his rival and Mercedes teammate Nico Rosberg to win yesterday's U.S. Grand Prix at Circuit of the Americas in Austin, Texas. Hamilton drove crisply and his car performed flawlessly, avoiding the heartbreak of the Malaysian Grand Prix earlier this season, when his engine gave out leading with 15 laps to go. Neither Red Bull's Max Verstappen nor Ferrari's Kimi Raikkonen could say the same about their cars. Verstappen's lost power about halfway through the race, which he attributed to a gearbox issue. Raikkonen's was foiled not by mechanical error as much as by human error. 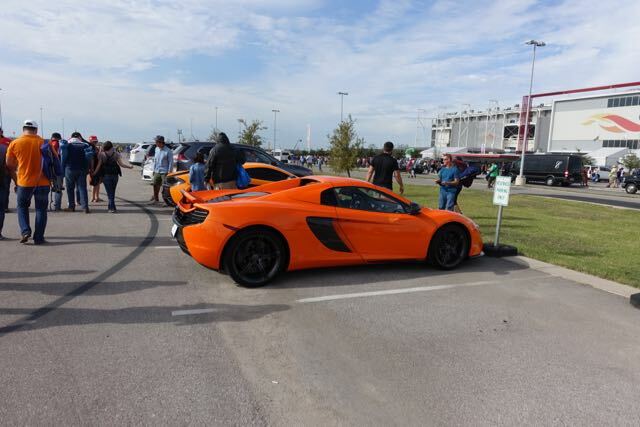 He pitted for a routine tire change but drove off with a wheel gun still attached to his rear wheel and the wheel not fully attached to the car. He knew immediately something was up and stopped at the end of pit lane to wait for his pit crew to come and roll him back to his pit box where the problem could be fixed. He waited in vain. His pit crew never arrived. His race was done. 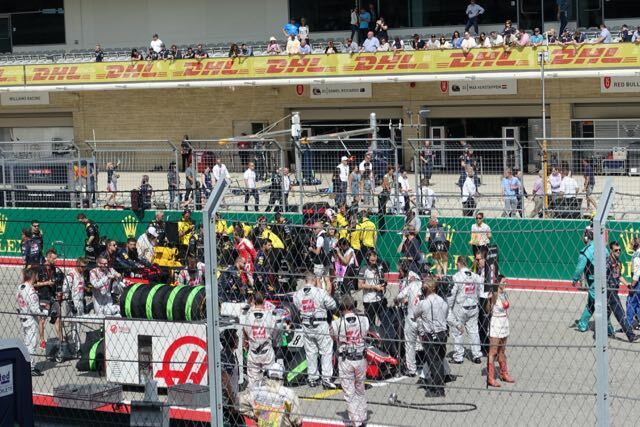 His car slowly rolled backwards into pit lane all by itself with the help of gravity, and he exited in fury. 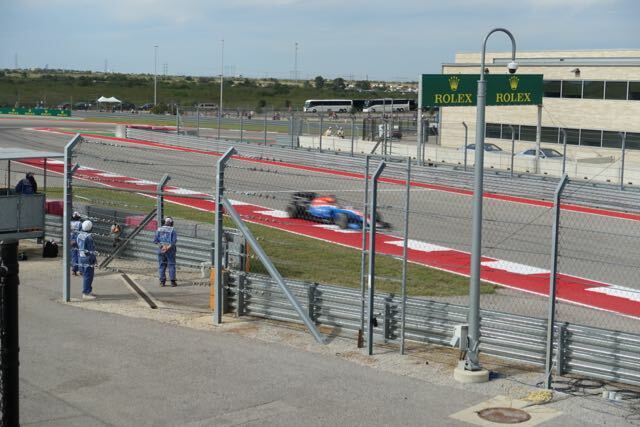 For my part, watching from the grandstand off the starting grid, the race was uneventful. Hamilton grabbed the lead from the earliest and never relinquished it. Daniel Ricciardo of Red Bull once again had a fine performance and for a while was firmly positioned in second place between Hamilton and Rosberg but when his Red Bull teammate Verstappen's transmission gave out, Ricciardo was doomed to third. Verstappen's problems brought out the Virtual Safety Car, giving Mercedes' Rosberg a free pit stop to change to quicker tires. Ricciardo would not be able to catch him now. There is a steady drumbeat to the 56 lap event with leaderboard changes happening rapidly and sub-battles taking place lower on the grid. McLaren Honda's Fernando Alonso had one such battle against Williams' driver Felipe Massa. 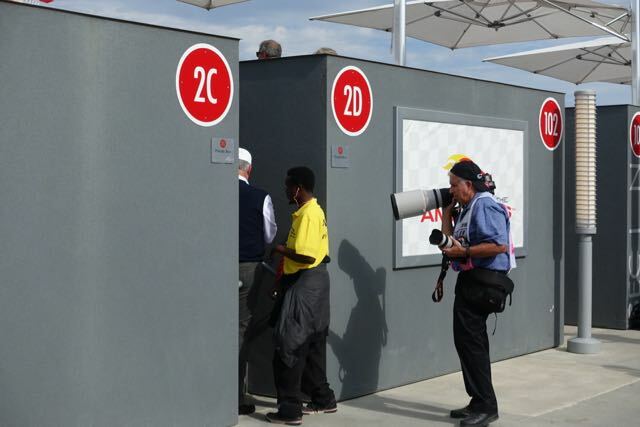 Alonso and Massa bumped, but no penalties were awarded to either team. 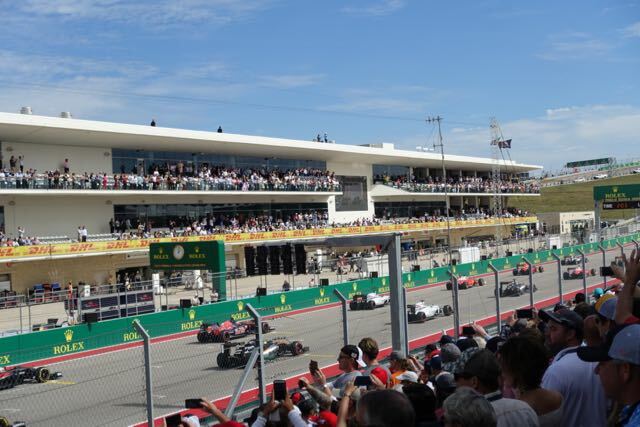 As for the other Ferrari driver, Sebastian Vettel had a perfectly fine race, finishing fourth, confirming that Mercedes and Red Bull are just faster. 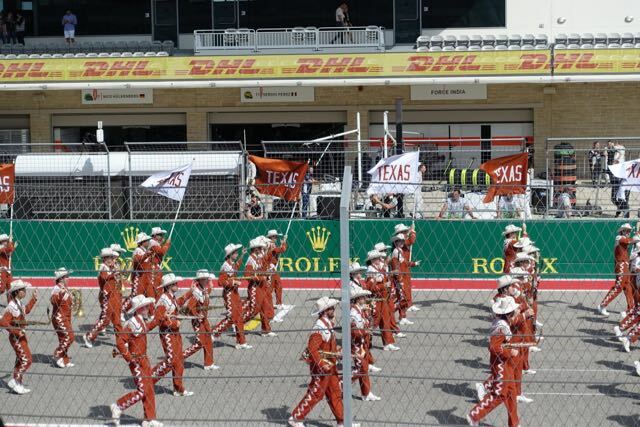 The pre-race ceremony combined Texas pomp and circumstance with a performance by the University of Texas Marching Band and a visit from the Dallas Cowboy Cheerleaders. 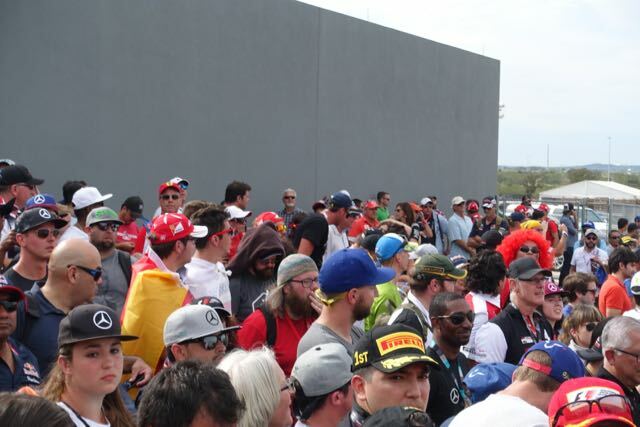 There were also other races staged earlier in the morning, a Porsche Super Cup race and a Masters Historic race featuring very loud versions of F1 cars from the 1970s and '80s. As I say, it was a fun event all in all. Here are some photos.